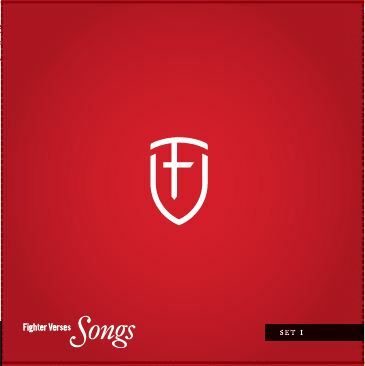 Fighter Verse Song CD Giveaway! 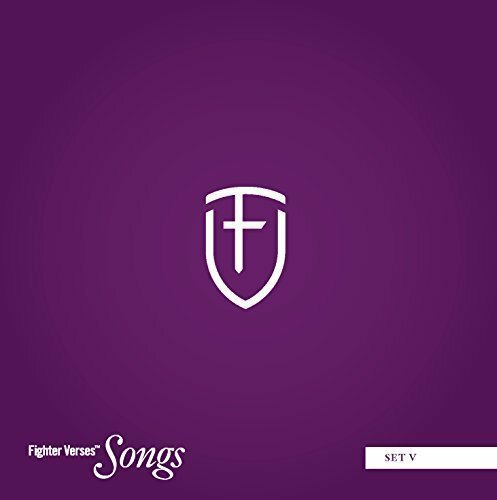 We are currently in process of creating a CD of all of the songs for the First Set (Set 1) of the newly updated series of fighter verses. This CD is scheduled to be made available this summer. In coordination with the Family Life Broadcasts, we’ve decided to take the opportunity and give away 5 of these CDs. 7. Be one of the first five to comment below. Once you’ve done any of these, comment on this post telling us what you’ve done. We will draw names at random for any of the 7 things above. How does that sound? Simple enough? P.S. In your comment, we’d love it if you would add what styles of music you’d most like to hear Memory Verses set to. « Welcome Family Life Listeners! God Bless You!!! it is amazing what are you doing!!! I love it!!! I want try with my children. I want to get the cd. I am going to share it with everybody.!!!! Please give me one of the giveaway cds. and I am one of the first five to comment here. 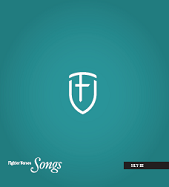 We love finding new Scripture songs for our family. Heard you today on FamilyLife Radio. Thanks for your ministry. Enjoyed the style you played in the studio today. Like to tap our toes but can still clearly understand the lyrics. Also “liked” you on facebook and subscribed to your blog. My sons were excited when they heard you on the radio. 🙂 They love listening to the Seeds of faith and Seeds of courage cds and would love to get some more music. I think putting scripture to music is so amazingly powerful! Thanks for what you are doing! What a fantastic ministry and a fantastic giveaway! How great and creative is our God!. I don’t even have kids but I want this resource! Thanks for letting the Lord use you. God bless. Loved hearing the Family Life broadcast yesterday. Also subscribed to your blog. We hope to use this in our Sunday School. Liked you on Facebook! And subscribed to your blog. Just liked your facebook page and also shared about the contest!! So glad to have found you guys, this is just what im looking for!! As a homeschooling mom of 3, and living on one income, it is hard to decide where to put your money, but this is def something i will be investing in! I am so excited about this. not only for my children, but using it in our kids clubhouse. Yes, a great big thank you for this great music that is wonderful for the WHOLE family! It’s not just music, but SCRIPTURE so intricately woven into our children’s hearts! This is hard to find and delivered in a fun children’s fashion. Wonderful resource for this homeschooling mama, who too has to choose wisely on a very tight budget. May God bless this ministry! Thank you, Thank you, Thank you!!! The FamilyLife broadcast was wonderful! I liked you on Facebook, am on my way to announce this great product there, and have subscribed to your blog. Heard you on Family Life Today and was encouraged by what you are doing. We have many scripture memory CDs but I think yours is the first I have heard incorporate the verse reference in the song which is great! I can quote many a verse through song but can’t always say where they are found. Liked you on facebook also. As for styles of music I tend to not like it too heavy on the beat but concentrate on the words. When I listened to “Do Not Be Anxious” I would have rather had a song that sounded more calming to match the verse. I was thrilled to learn about your ministry through Family Life Today. Singing God’s Word is my passion, and I’m grateful for all your musical ability and creativity. Thank you for making this available to us. No better way to hide God’s word in your heart! Music ic mental glue! Great job! We heard about these songs/cds on Family Life Today. We just had our first child and are excited to build a God honoring music collection for her (and us!) to hide verses in her heart. Also, I like swing/big band style music. So loved hearing about u on Family Life Today!! So excited to get these cd’s so my kids and i can start learning them!!! Liked on Facebook! I would love to have one of these CD’s! I participated in numbers 1 though 5. Hope this helps spread the word about your wonderful music! Hello, I “liked” you on FB and subscribed to your blog. I’m not sure if the giveaway has already happened or not. I liked you on facebook. Thanks for the awesome work. I am not sure if you have done the giveaway yet, but I wanted to sign up anyway. 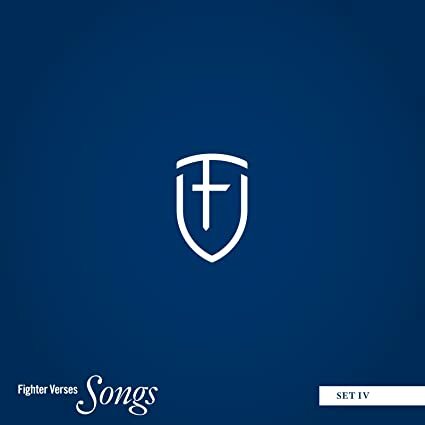 I love Fighter Verse songs. We have set D. Do you ever post chords for these songs? I would love to sing them with my kids and children’s ministry at church. Hope this gets the word out! Thanks for your ministry. By the way, I have a friend in the Twin Cities who goes to Bethlehem and is a professional musician and music writer. Maybe he could get involved. Feel free to email me if you want more info. God bless your work.